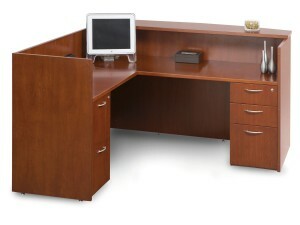 Premium refurbished office furniture might be just what you need for your office in the Toronto, Ontario, area if you are looking for beautiful and practical furniture without the hefty price tags. Buying furnishings brand new can be costly for business owners, so purchasing gently used and refurbished pieces is a great strategy to stay within budget. Plus, to make updating your office as stress-free of an experience as possible, we can deliver and install all of your new furnishings for you. That way, you don’t have to worry about any of the heavy lifting and can focus on your clients and employees. Additionally, we can help you with office interior design, liquidate any unwanted furniture, and even recycle eligible items for you. For more information about adding refurbished office furniture to your workspace in the Toronto, ON, area, contact Reusable Office Interiors today. One of our friendly specialists is available to answer any questions you have.